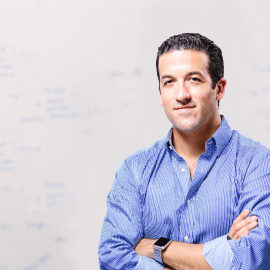 Daniel is a member of Kaiser Permanente Ventures where he works on investments in digital health, healthcare services, medical devices, and precision medicine. Daniel brings expertise in healthcare startup operations, venture capital, and investment banking. Prior to joining KP Ventures, he was Director of Strategy & Operations at Lumiata, a clinical analytics startup. He also worked at Safeguard Scientifics, reviewing and executing venture capital investments across the healthcare landscape. Daniel started his career in healthcare investment banking. Daniel holds an MBA in Health Care Management from The Wharton School and a BS in Biological Engineering from Cornell University.